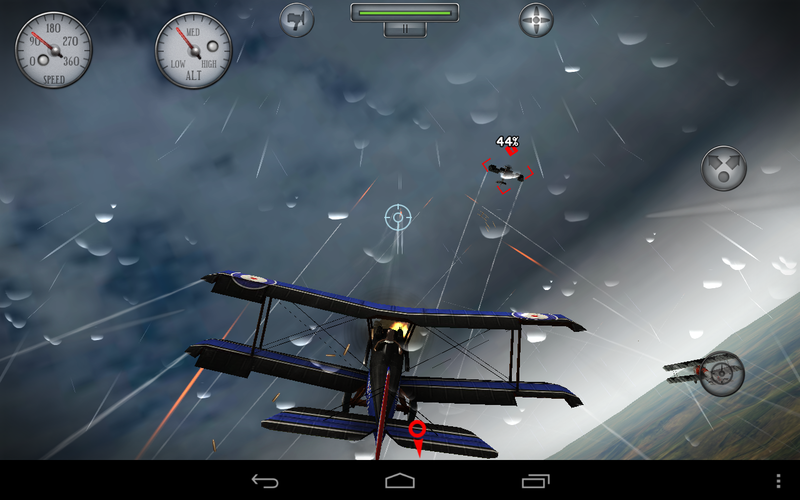 I've been a fan of air combat games for years, but most titles of this sort are done in a very "arcade" way with simplified controls. 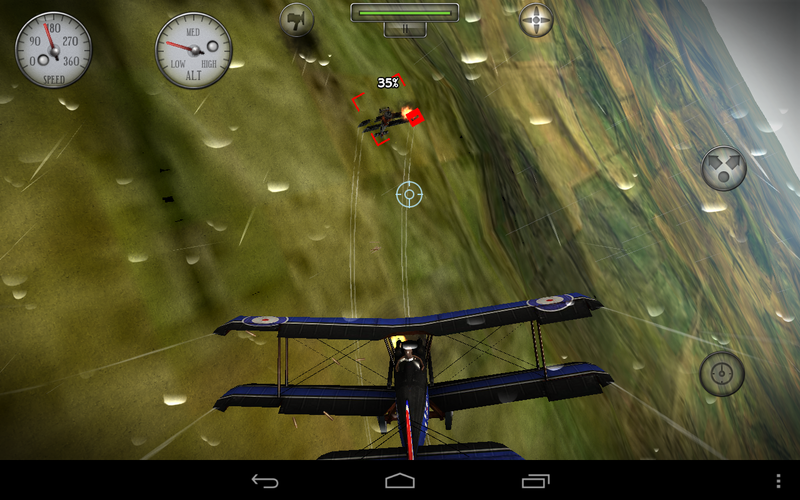 This is not the case with Rise of Glory – it's a real air combat game. This title was originally released as an Xperia exclusive, but it was recently opened up to more devices. This is one of those games that gives you a free taste before upselling you on the full version through an in-app purchase. So, should you bite? 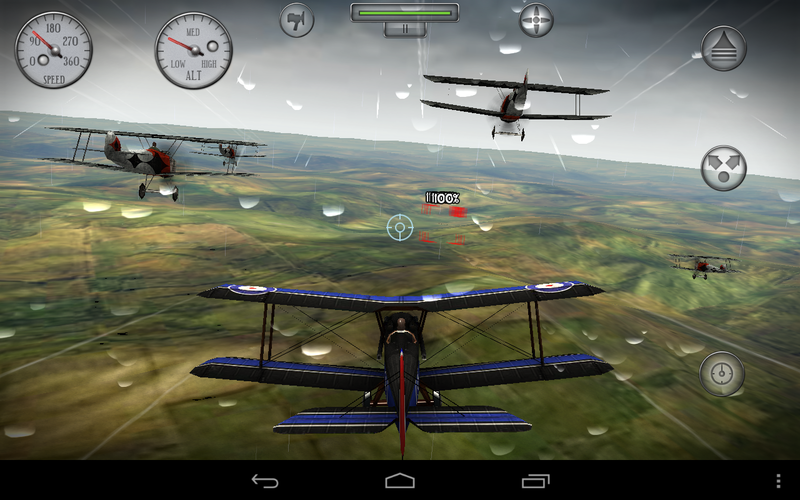 Rise of Glory's main campaign is split into two parts, each with 12 missions. Each missions has unique goals, and doesn't feel too repetitive. It would be easy for a game like this to end up being mission after missions of identical dogfights. Instead, you have to reach checkpoints, take out some scouts, hit some ground forces, and maybe contend with an emergency landing or two. I'd say each mission takes about 10 minutes to complete, but a few might be longer. 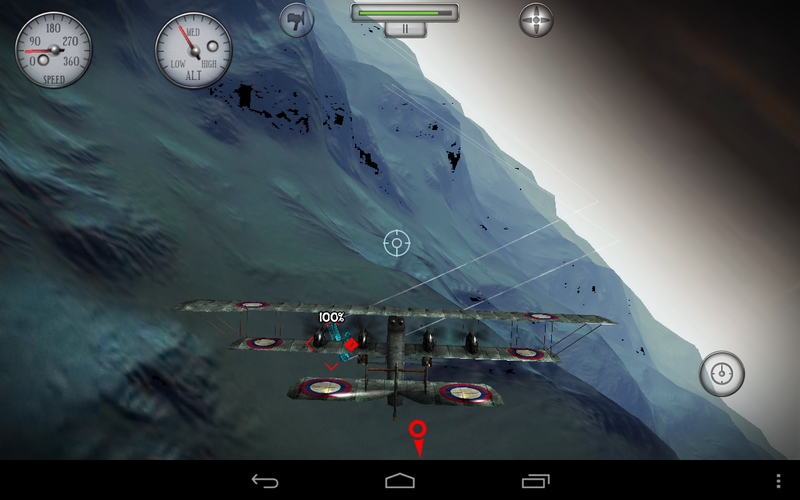 You have your choice of 10 authentic WWI-era planes, but the game starts with most of them locked. Additionally, some missions can only be played with certain craft. Sometimes you have to fly into combat alone, and other times you've got wingmen. I have to say, flying in formation with a bunch of old biplanes is a really cool experience. As far as I'm concerned, the controls in Rise of Glory are solid. 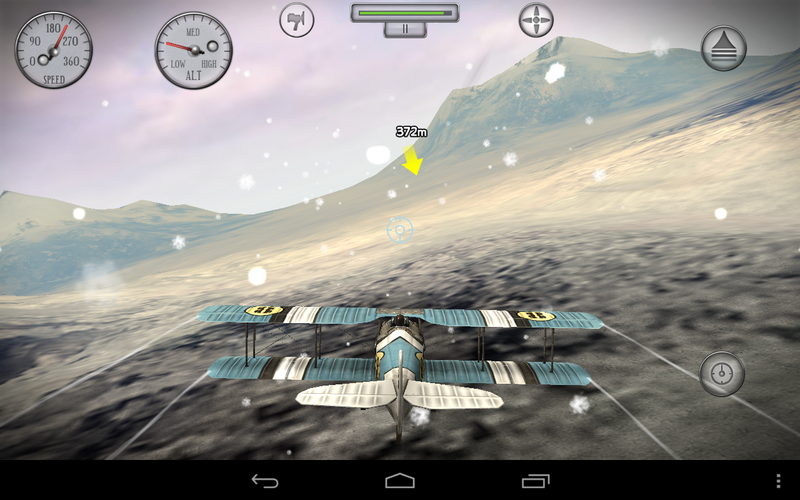 The controls are heavily reliant on accelerometer movements, so it might not be the best game for use on 10-inch tablets. 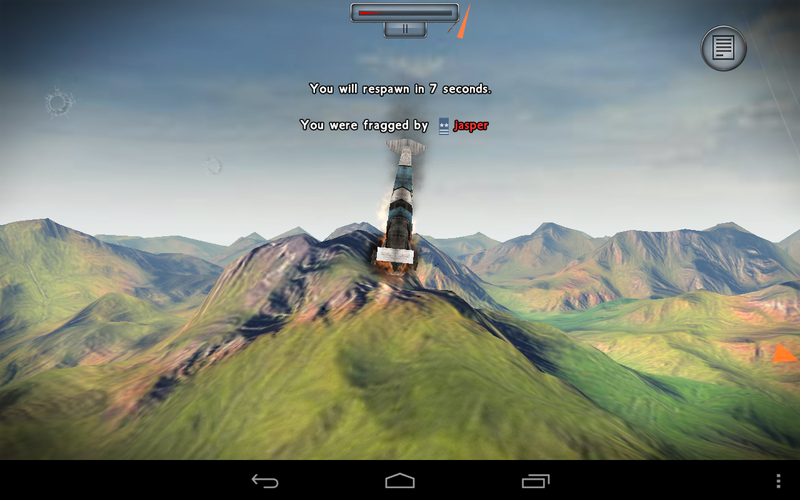 I played it on a Nexus 7 and it was more than fine. 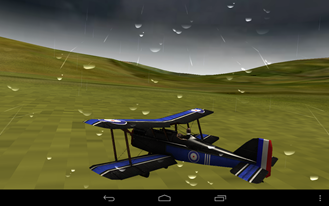 If you tilt the top of your device toward you, the plane will pull up. Push back, and it dives. Tilting left and right will roll the craft. Put together these two axes of movement, and you can bank. 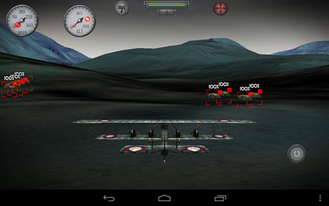 The first mission does a good job of getting you familiar with the controls. Some players won't care for the tilt controls, but I find it makes the game easier to play by freeing up a hand to operate the weapons while performing complicated maneuvers. 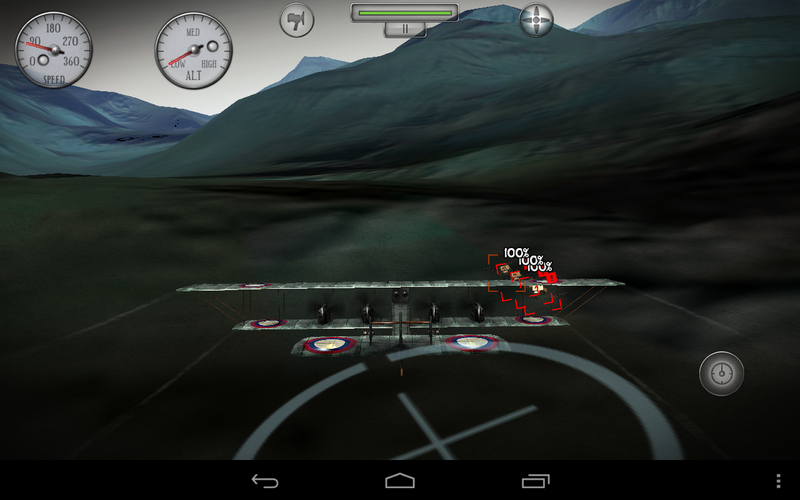 Rise of Glory also gives you access to some rudder (yaw) control. Anywhere you press on the screen a small thumbstick will pop up. Moving this left and right will angle your plane in that direction without affecting the pitch. That same thumbstick is also used to control the throttle, which is a clever way to reduce the number of buttons on the screen. As it stands, there is really only one button on the screen you have to worry about, and that's the fire button. It's in the lower right corner, and the hit box is nice and big. 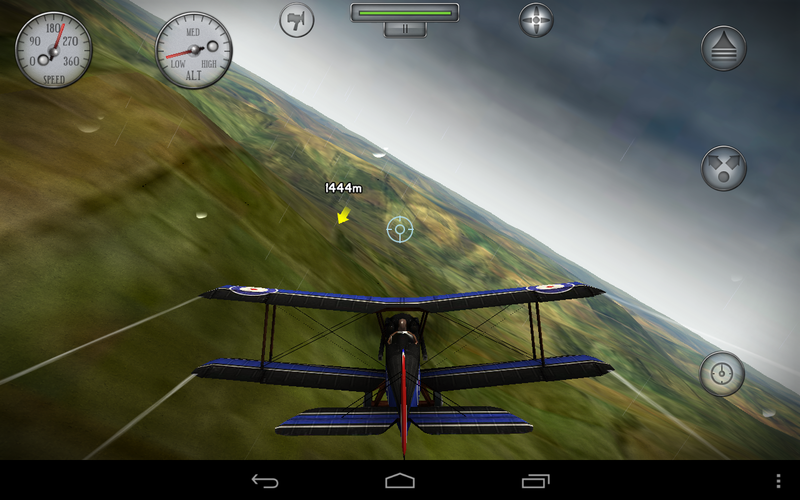 Unlike a great many 3D games these days, Rise of Glory does not require a huge download to play. The game is only 40MB, in fact. I would say that it looks very good overall when you consider the small size. The detail on the planes is good, and that helps to make the game feel more polished. The textures on all the craft are high-resolution, and there is minimal aliasing. Some other parts of Rise of Glory are a little less impressive, but I would point out it's playing to its strengths. For example, the textures used on the ground are blocky and strange up close, but you're only on the ground for very brief periods. When you're up in the sky, the landscape actually looks really nice and vibrant. The graphics are good overall, not great. 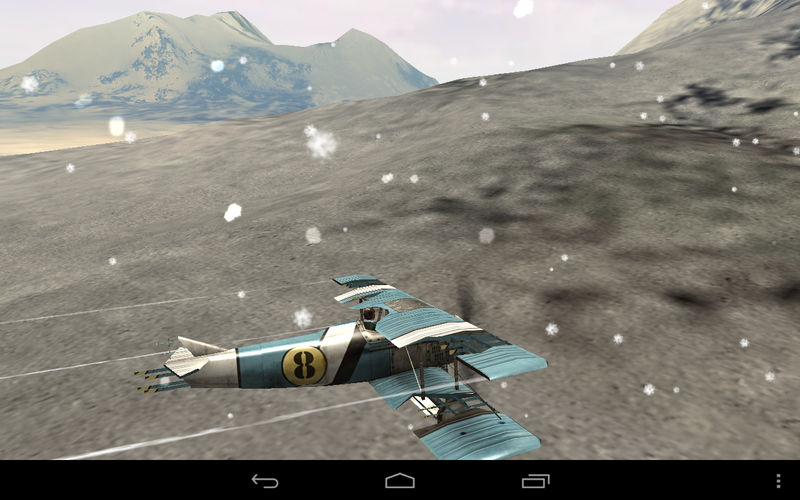 It shouldn't be a shock, but the Nexus 7 really tears through this game. There is not a hint of stuttering, and I have had no crashes. Some Play Store reviews claim otherwise, but I cannot confirm. The animations are all smooth, and level load times are very short. If you want access to the full game, it's going to cost your $4.99. I will grant you that this is a little steep, but this in-app purchase should transfer to multiple devices. I really enjoy games of this sort, so it's justifiable to me. The levels are varied and there is a fair amount of content here. 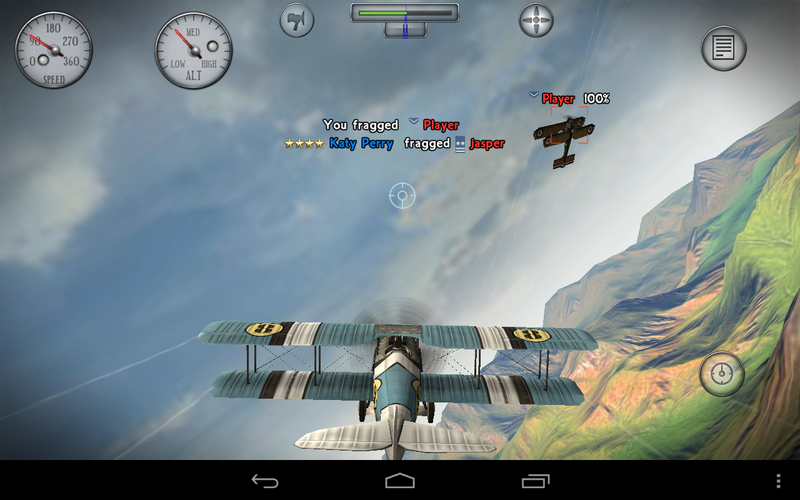 In addition to the 24 missions, there is a 100 mission dogfight challenge and the online/Wi-Fi multiplayer. Although, don't buy it on the strength of online multiplayer – I had trouble finding matches to join. 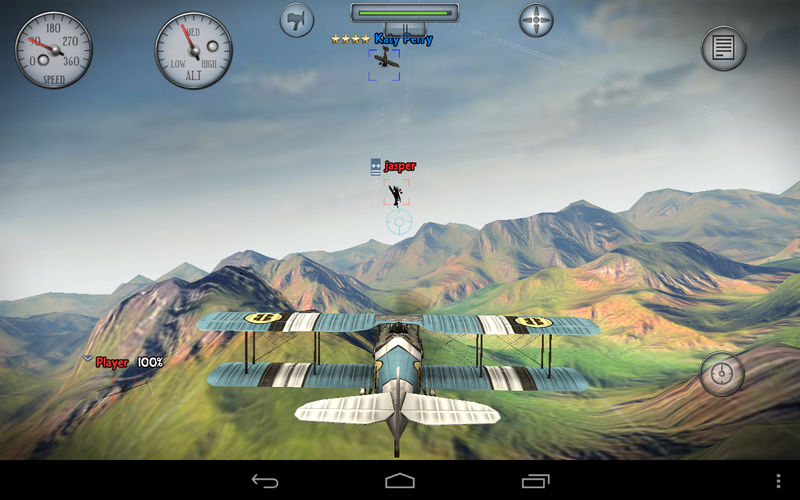 I would say that Rise of Glory is worth your attention if you like a more realistic air combat game. I found it to be genuinely engaging to play, and $4.99 isn't that much in the grand scheme of things.